This creature of the deep seas has become a fantasy being known for her beauty and grace. 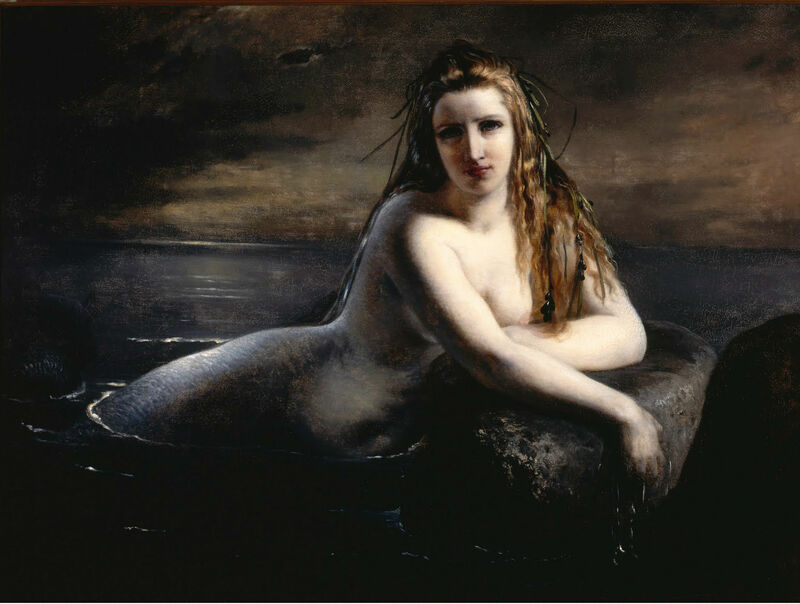 The image of the mermaid is lusciously curvy, voluptuous and enticing. It is a delightfully fun and playful costume to wear for Halloween or a night on the town. A woman's curves are very appealing and a mermaid gown is a dress style that truly helps to create the appearance of a fish's form onto the curvaceous body. It is an image that is sensual and seductive. You can be a mistress of the sea in a skin hugging dress where every curve of the body is accented in hip hugging glory. Mermaids are the subject of many a romantic legend of lore and with good reason. With the face of a human but the tail of a fish no one is quite sure as to whether the mermaid actually exists or if she is simply a creature brought into being by the lonely heart and imagination of fishermen and sailors spending long hours at sea. Graceful, enchanting, and mysteriously seductive she is a creature of the ocean surrounded by ghostly curiosity. 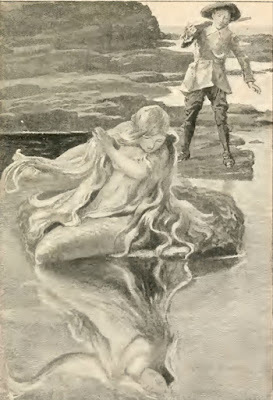 There have been many reports from the world around of mermaid sightings and there have even been reports of mermaids being caught in fishing nets. Are these sightings true? Many believe the mermaid to be an actual creature of the oceans deep and for the people who have seen the elusive mermaid she is definitely real. 1. Netting to create the appearance of scales. 2. Makeup in sea blues or greens, rich gold and silver, or shimmering opulant colors. 3. Glitter in a multitude of colors. Green, blue, pink, silver and gold are very popular mermaid makeup colors. You select your favorites. 4. Stick on sequins, rhinestones, pearls, and other gemstones for body and nails. 5. Pearls and other gem stones that a mermaid might find under the sea or within a lost treasure chest. 6. Flowers, flora, sea shells, and green seaweed type accents. 7. Matching mascara, nail polish, and nail accessories. It is up to you which color theme you choose for your outfit and make-up. Common ocean theme colors are royal blue, green, turquoise, pink, black, yellow, pearl, or a multi-color scheme of two or more of these hues. Do the do! 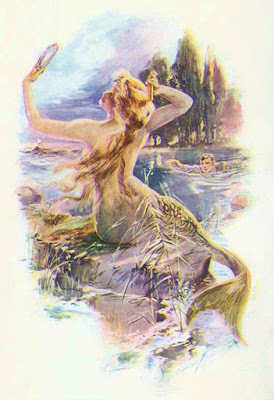 Mermaid hair is usually long and flowing. It is often adorned with flowers, pearls, and sea shells. These small stylish hair accents are generally of natural items which she finds within her element. Wavy curly hair is quite a natural look for her as hair often gathers small curls when it is wet and unkempt just as a true mermaids hair might be. A mermaids hair can be of any color. Because we know so little of their true existence we can fantasize her to be of any image or features. Water sparkles in the sunlight. You should too. Add a sprinkle of glitter to your hair and skin. Glimmery rhinestone or diamond accents in the hair will give you an appearance of just having emerged from the sparkling water. Small stylish hair accents are generally of natural items which she finds within her element. Strands of pearls, pearl pins, or a pearl tiara are ideal for a mermaids hair. Sparkle, shine, and glitter using glitter, crystals, and rhinestones to enhance your hair and skin. Add in color to your mermaid hair. To create a shimmer of sparkle throughout your hair you can easily add in strands with a simple clip. Another method of adding color to your hair is to use a temporary hair chalk dye. These are quite easy to apply and generally wash out in a few days. Have an attitude. Be the character that you portray. You are a creature of the sea singular in all that you are and in all things that you do. Add an aura of mystery to your costume. A mermaid is proud, elegant, unashamed, secular, and regal. Her shoulders are squared and she walks in dignity to whatever fate might await her. She is as graceful on land as she is when she swims so easily through the water that is her natural element. There are some individuals who as soon as they walk into a room draw all eyes in their direction. Others find them absolutely magnetic. It is difficult to take your eyes away from them and this is the persona that you want to strive to create in the image of a mermaid. The good news is that you can be the person that all eyes turn to in the room. It really is not as difficult this look to acquire as one might think. To create a more dominant poise that will make you more noticeable all you really need to do is to stand out from the rest of the crowd. Be as distinctive as the mermaid you portray. A mermaid should stand tall to look proud, regal, and undaunted by whatever fate awaits her. Wearing a mermaid costume will most likely help you to feel more distinctive and in tune with the character you are bringing to life and this will help you to pull off the persona you are striving to achieve. You have the outfit, now add in high heels, and flattering hair accessories. These will add increased height or breadth to your appearance and help you to stand out from the crowd. The taller or larger a person is then the more noticeable they are within a group setting. Once you arrive at your destination try to place yourself in the center of the room as often as possible as this is where a person is most likely to be seen. As people glance throughout the room their eyes fall on the center as they sweep their gaze back and forth. You will appear more dominant and be more likely to be made note of simply because you are standing in the center of the room. A mermaid costume can take many forms. The true beauty of being a mermaid for Halloween is that there are so very many distinctive looks for you to choose from. 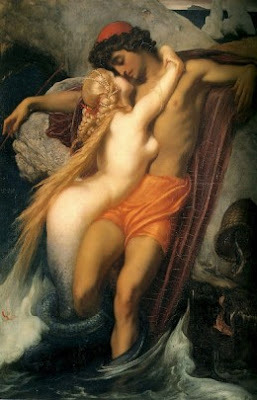 A mermaid can be sensual and beautiful, gruesomely fish-like in appearance, evil, or childlike and winsome in appearance. You can go for a fashionable look or one that is absolutely gross beyond reason. This sea creature is a fun persona to portray and you can choose to put your personality into your costume in whichever direction most pleases you. Choose your theme, select your colors, practice your stance, and prepare for an evening of unbelievable magic. There are many ways to style up a sea creature costume and it all begins with an idea. You can select one of the above themes or choose a movie or Disney merman/mermaid character to costume up as. The Sea Witch Octopus dress in the Little Mermaid is amazing and with a little creativity there are many sea creatures that would design up wonderfully for Halloween. The only rule that I can think of is for you to have fun with it.